So my nose wasn't that stuffy today! YAY! IM SO GLAD CAUSE I LOVE TO DANCE ESPECIALLY TAP CAUSE I JUST LOOOOVE TAP! Today we have the new or returning fleets sold in jam mart clothing for 400 gems! Now tell me. What is the difference between baseball cleats and soccer cleats? Or are they the same thing? SOME ONE TELL MEEEEEEEEE!!!!!!!!!!! XD They probably are the same thang though soooo yaaaaaaaa. But like cartoon people kinda. ALSO MY BEST FRIEND IS BACK AT SCHOOL TOMORROW SHE WAS IN SCOTLAND. YAAA SCOTLAND. So your probably wondering what topic is. Well Its basically I choose something from animal jam and explain what it does and how it helps and where you can use it and that stuff. Today I will talking about gems so get into gear! You guys already know about gems but might be helpful for new jammers! 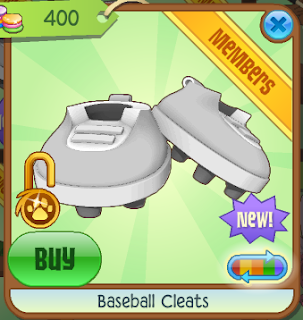 Gems are a currency that we use to buy items and animals on animal jam. Why do we use the gems? How do I collect gems? What are stores you can use gems at? You can use gems at jam mart clothing, jam mart furniture, and any other store besides the diamond shop! Hope those were some helpful tips! I think this will be much like wonder which I wasn't really interested in. Later this week sometime probably on the weekend I will edit the schedule incase I need to make any changes. Im honestly sure I don't wanna do mysteries. I think I will just change it to jamaa updates! 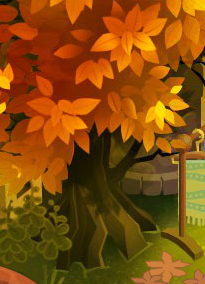 Have you noticed the colours changing in jamaa? Well if you haven't the trees now have fall colours! The seasonal trees have changed too!